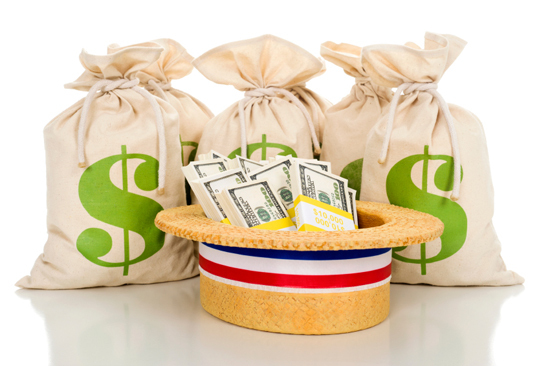 Although campaign contributions are widely viewed as a corrupting influence, for decades political scientists have failed to establish a direct connection between money and legislative outcomes. Now a new approach provides strong evidence that donations directly influence the legislative process. Using a national analysis of state legislators, Lynda Powell, a professor of political science at the University of Rochester, documents the subtle and not-so-subtle ways in which money buys influence � from setting a party's agenda, to keeping bills off the floor, to adding earmarks and crafting key language in legislation. "Other scholars have examined the relationship between campaign contributions and the floor votes an individual legislator casts, but this is the wrong way to approach the question," says Powell. "On floor votes, most legislators vote with their party and constituency. Any influence of donations is likely to be limited to a small set of close votes that are not important to the legislator or to his or her party or constituents." In her new book, The Influence of Campaign Contributions in State Legislatures (University of Michigan Press, 2012), Powell argues instead that the real power of money is exerted long before the roll call. "The question is, what went into these laws," says Powell. "The wording of just a sentence or two or the addition of an earmark makes all the difference to a special interest group. For other contributors, the goal may be to preserve the status quo and prevent a bill from coming to a vote at all." "This book represents a major step forward in the study of campaign finance effects," writes Gary Jacobson, a professor of political science at the University of California in San Diego. "Lynda Powell combines theoretical clarity with unique empirical data to offer the most rigorous case yet for the widespread but difficult-to-document idea that campaign money influences public policy." Through formal models and statistical analysis, Powell teases out the personal, institutional and political factors that make moneyed interests increasingly powerful in some states, but not others. For example, her data shows that political money carries more weight in states with more highly compensated legislators, larger chambers, and more professionalized leadership structures. Money is also more important in states whose majority party's advantage is tightly contested and whose legislators are more likely to hold hopes of running for higher office. By contrast, donors to campaign coffers wield less power in states with term limits and more highly educated voters. These conditions, writes Powell, predict how much time legislators devote to fundraising for themselves and for their party. She shows that the more time members spend on either type of fundraising, the greater the influence of contributions in the legislative process. "I am not arguing that there is much quid-pro-quo influence," says Powell. "But even the best intentioned legislator receiving money from an interest group is likely to at least listen to what donors have to say. And if you are hearing much more from people who donate money to you, it is hard not to be swayed by the greater body of argument and evidence from donors." Powell also looks at the relationship between fundraising and lobbying. While some have argued there is little linkage between the two, Powell's study documents that the access legislators give to lobbyists clearly is biased in favor of campaign donors. By identifying the conditions that encourage lawmakers to be more beholden to donors, Powell provides insights into new ways to reduce corruption in the political process beyond contribution regulations. Campaign finance reforms, she argues, can have only modest effects. For example, her study suggests that so-called "clean" campaign laws under which candidates who accept public funds agree to forego private contributions to their campaigns do effectively limit personal fundraising�but these same limits result in members devoting more time to fundraising for their caucus which is not restricted by the law. A more effective solution, says Powell, would be to change the institutional incentives that encourage extensive fundraising in the first place. This too, she acknowledges, is not a simple task. The effects of institutional changes, like term limits for example, can be complex. While term limits reduce the value of legislative office by limiting tenure, they also increase interest in running for higher office. This ambition, and the fundraising it engenders, cancels out much of the effect of term limits on reducing fundraising, the study shows.